Have you read about what happens to your vehicle if you don’t routinely change your oil? We’ll give you a hint: it’s not pretty. 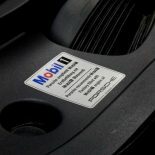 Just like water for people, unless you drive an electric vehicle, oil serves as the lifeblood for your Porsche. Not only to routine oil and filter changes keep your precious Porsche running up to par, but regular, yearly services keep your vehicle in peak condition — you do drive a high-performance piece of German engineering, after all! Now, you could attempt to change your Porsche’s oil on your own. But why do the dirty work yourself? Unless you’re a mechanic with the know-how and the toolset to get the job done (and get it done right), you’ll find that it’s a pain to handle an oil and filter change on your own. That also doesn’t include a variety of inspection services and fluid top offs, which also rely on your mechanical knowledge of Porsches as well as having the right parts and fluids on-hand in your garage. 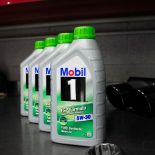 Really, it just makes sense to drop by our independent Porsche service experts to get a Porsche oil change. Let HOUSE Automotive take the worry out of the experience, ensuring that your Boxster, Cayman, Carrera, or other Porsche model runs strong for years and years to come — provided that you’re getting the necessary yearly maintenance from our team! Of all routine maintenance for your vehicle, regular oil and filter changes are among the most important. You don’t want to wait until it’s too late to change your oil. Worst case, your car could essentially blow up as you’re driving it, and no one wants that! Treat your Porsche with the respect that it deserves and routinely visit HOUSE Automotive for our yearly Porsche maintenance services and Porsche oil change services today.